Like Southern, it seems every year I can start off the Howell preview talking about the tremendous talent they lost to graduation, the tremendous talent they have returning, and the tremendous newcomers they have coming in. Pretty much the same story this year. In addition to the names mentioned in the "possible" lineup below, there's several more from last year's sub-varsity and Intermediate School programs that will look to step in and make immediate contributions. The bulk of the returning experience is at the stretch from 126-160 highlighted by the trio of sophomore Darby Diedrich, and juniors Kyle Slendorn and Dan Esposito. Diedrich is coming off a huge rookie year which saw him win the D21 Title, place 3rd at the Region, and finish one win shy of a medal in Atlantic City. Slendorn has punched a ticket to Atlantic City in each of his first two seasons, amassing 74 wins to go with his pair of Region medals, and two D21 Championships. Esposito returns after a winning 23-bouts and placing 3rd at the Districts. They're joined in this stretch by battle-tested seniors Jon Friedman and Nick Sulkwoski, as well as Evan Richard and Christian Murphy, who are coming off solid freshmen campaigns. Up top, the West Point bound Eric Keosseian returns to anchor the upperweights. Keosseian, who enters the season with 91 career wins, is coming off a junior year in which he won the Region and District titles on his way to an 8th place finish at States. He gives the Rebels an absolute thumper up top, and combined with senior heavy Jake Nash, who missed much of last year with an injury, the Rebels have a strong 1-2 at 220/Hwt. The Rebels will be breaking in a few new starters in the 170/195 span. There's a large group that will be contending for those spots from last year's sub-varsity, as well as some freshmen, including Shane Reitsma, who enters after a stand out career at the Intermediate level. There will also be a some new faces in the lower portion of the lineup, and like up top, there are plenty of talented guys from the sub-varsity and incoming freshmen class that will compete to get into the lineup. 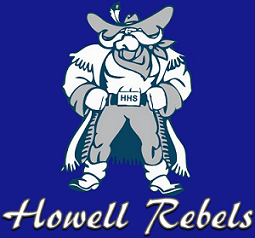 Howell does have junior Jesse Liptzin returning at 106, who is coming off a solid 2016 that saw him record 19 wins. He has the potential to have a huge year back at 106. 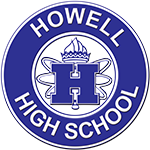 Once again, with their usual lineup blend of talent, both young and old, throughout the lineup, and great depth, the pieces are in place for another big year at Howell. Division, Shore Conference Tournament, Sectionals, Groups... Howell figures to be in the mix for all the top spots. There's challenges all throughout though. Colts Neck and Manalapan figure to be the strongest contenders to try and knock the Rebels off in a division that Howell has won at least a share of each of the last 11 seasons., and the path to a consecutive Sectional Title will have Southern lurking as the Rebels move back into South Jersey Group 5. Expect another big year for the Rebels in 2017.